And this guy, whoever sent this tweet, somebody named Mark Copelovitch, is outraged. Now, this is a great illustration of how pathetic the education about our country is, how literally pathetic the education about our Constitution is. I’m telling you, it is a flashpoint. And it is a danger. We have people in the media who do not know history. They have not been told the truth about various historical things, and they certainly have not been taught the Constitution. They have not been taught the founding documents. That has not been taught. The way I just described our Constitution, that’s not the way it’s been taught. The Constitution… To people now in their thirties and forties and younger, and some in their fifties now, the Constitution has been taught as a document that’s no longer relevant for its time. A document that was deficient from the beginning. A document that endorsed slavery, they say. A document that put too little faith in government. A document that did not give government enough power. This is what’s been taught. They’ve been taught that we need a new Bill of Rights spelling out what government can do. They haven’t been taught. You can call it conservatism or liberalism. It doesn’t matter. They have not been taught the truth of the Constitution. They have not been taught the truth of the Declaration or even the reason for the founding of this country. Some of them might even believe that the real purpose of government now is health care for everybody. They might actually believe that’s the purpose. Because this is just flat-out absurd, to start comparing the popular vote totals for Senate and complaining here that the Democrats got jobbed because they got a total of nine million more votes than Republicans did. It’s exactly how it’s supposed to work. It’s exactly how the Senate was designed. Every state has two senators regardless of population. In the Senate, no state has any more power than any other state. In the House, that’s not true. In the House, California and New York have more representatives than Rhode Island or Vermont or Missouri. But in the Senate, it’s equal. It doesn’t matter if a state has five people alive in it, they’re gonna get two senators. The reasons for this are multipurpose and can be found in the Federalist Papers, which are the founders writing their reasoning for what they did in the Constitution. It’s a loose definition of the Federalist Papers. It is exactly for this purpose here. We now see this election as a great illustration. Yeah, because there were protections, even though this is a majority country, it is a majority rule country, it’s not a democracy. A democracy is pure majority rule. Let me give you an example of democracy. You have seven people in your group — five men, two women. Somebody puts forth a motion. “I propose that sexual abuse of women be legalized. Okay, let’s vote.” The five men say “aye,” the two women say “no.” Guess what happens? Sexual abuse has just been legalized. That is a democracy. That cannot happen in the United States. It shouldn’t. Because we have a representative republic where minorities in that kind of situation are protected, even though it’s a majority rule country. 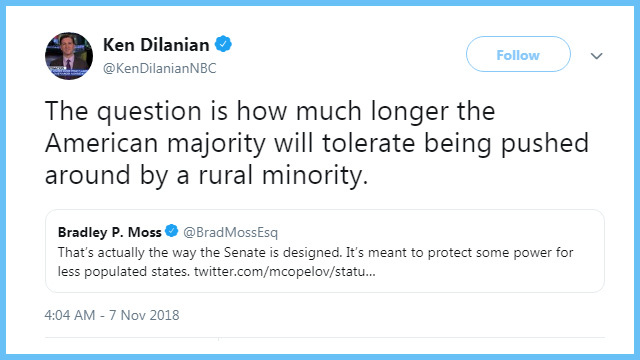 And so the minority of state populations, the people that live in less populated states have just as much representation in the Senate as anybody else in any other state, by design. It is to mitigate and to be a check and balance on the makeup of the House. It’s why senators sit for six years, every member of the House has to run for reelection every two. None of this is taught anymore! And this is elementary. This is basic. And none of this is taught. 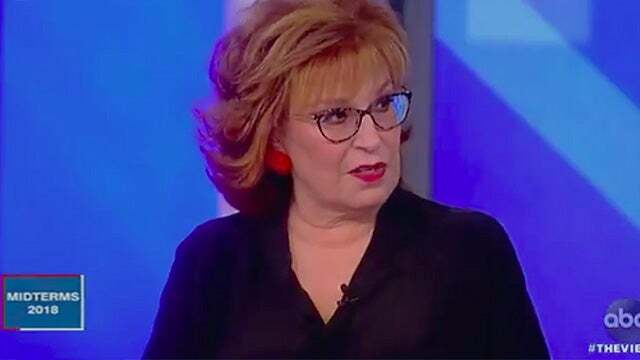 Instead we have people like Maude Behar on The View, which is watched by millions of women in this country, who are being lied to and misinformed in their own right by watching that stupid show, who is explaining the reason the Democrats lost the Senate is because of Republican gerrymandering. By the way, the correct pronunciation is gerrymandering. It’s named after a guy named Gerry, G-e-r-r-y, who first started manipulating this. Anyway, there is in gerrymandering in the states. In the Senate it’s not possible; it’s not necessary. Because every states gets two of them. There are no districts in the states for senators! Both senators represent the whole state. Maude Behar is clueless! And everybody else on her panel went, “Yay,” because it sounded good. It was embarrassingly stupid! And here comes this guy Ken Dilanian, who knows what he’s been taught, but he is an intelligence and national security reporter. 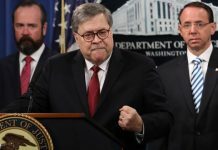 You think this guy’s been lied to for the past two years about the Trump collusion with Russia story and you think he’s bought everything he’s been lied to about? I’ll guaran-damn-tee you he’s bought it. Another thing that’s not taught in journalism school or anywhere else today is curiosity. Journalists are taught obedience. They’re taught obedience to the left, obedience to Democrats, obedience to government. And they are taught radical opposition to anything else. 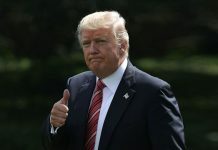 So it doesn’t matter that the Democrats got 40 million votes total and the Republicans 31. It doesn’t matter. It matters where those votes were. So now he’s running around, “This is not fair. We have more people and they still won the Senate, it’s not fair, it’s not right. How long is it gonna be before we keep putting up with you stupid idiots in these red states?” This is an effervescing movement, folks. These leftists think the system is screwing them. They think they’re being cheated. They haven’t the slightest idea how this is designed and how it is working as designed. I remember the days when the Drive-Bys and the Democrat Party used to pretend to be concerned about protecting the rights of minorities. Now rural minorities, you’re not worth jack and we don’t give jack about you. RUSH: Yeah. This would be a good time to squeeze in the first phone call. Folks, this is really crucial. This is not taught. The stuff I told you, I was taught every bit of this by the time I finished junior high school, and probably many of you were too. The way the Senate works, why it’s designed the way it is, the way the House works and so forth. It’s scary. Our country not survive this kind of widespread ignorance, which is what this is, ill-, maleducation, young kids being lied to about this country and what it was, why it was founded, and how it operates. We can’t survive this kind of thing. This guy at NBC News, this is a tough job to get, and he’s an idiot! He’s an educated idiot. I don’t know. People that don’t understand how this stuff workers used to not be able to get jobs like this. Here’s Sean in San Diego. Sean, I’m glad you called. Great to have you with us. CALLER: Hey. Thank you so much for taking my call. I’ve listened to you for a long time, and I’m real happy to finally get through here from the Left Coast. We’re not all crazy out here. RUSH: Oh, I know. I know. RUSH: Wait. Because there weren’t any Republican senators running? CALLER: No — well, our juggled primary here only allowed us to vote for the two front-runners, which were both Democrats. 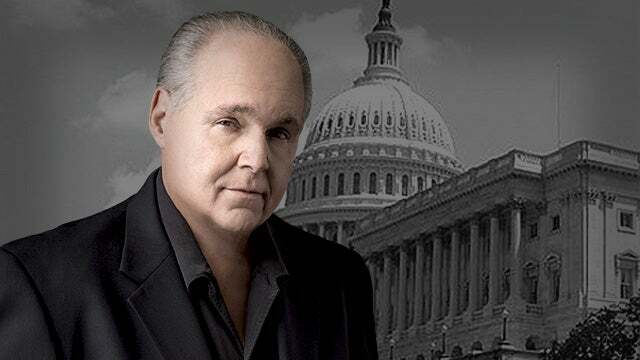 RUSH: Oh, yeah, like Feinstein and Kevin de Leon, two Democrats is the only choice they had in California. It’s an excellent point. He’s a Republican, he had no prayer. How do we factor that in? Isn’t that unfair, folks? Look, Sean, that’s a great, great point. Glad you reminded me of that. 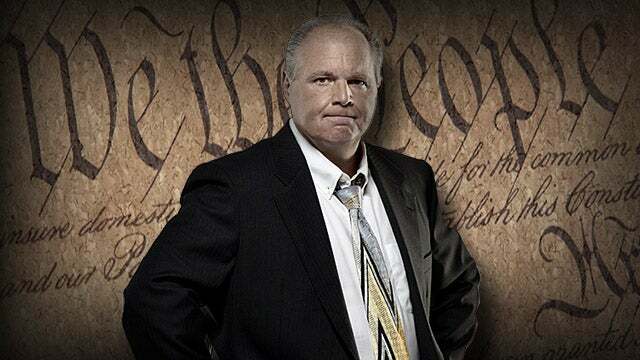 RUSH: Sean in San Diego was exactly right. You had Dianne Feinstein and Kevin de Leon as your Senate choices in California. Both Democrats. So how do you people that think things are unfair, how are you gonna massage that one, hmm? RUSH: I want you to hear this. This was yesterday morning on The View, which is a gab fest by and for people who don’t know anything. And I’m not trying to be funny when I say that, and I’m not even trying to be insulting. It is genuinely frightening the degree to which our education system has literally dumbed people down while making them believe they have been made geniuses. That is funny. All of these people think that they are flat-out geniuses, and they’ve been lied to most of their educational lives. They’ve been propagandized from the days of their youth. Now they’ve become radicalized with it and they literally have no idea of the founding of this country. It could be even worse than that. They might have been taught the truth of the founding while then told that it was all racist and bigoted and a bunch of white privilege, white majority people setting up a system for only themselves and their people the rest of their days, blah, blah, blah, blah. At the end of the day way too many young people have been flat-out lied to about this country. And it’s why we have arguments over the greatness of America. It’s why we have arguments over the concept of American exceptionalism. It’s why you can end up electing a president, like Barack Obama, who believes the United States is the problem in the world! Imagine. The United States is not the solution. The United States is the problem! The American military is the focus of evil in the modern world because we can project all of this unfair tyrannical, dictatorial power. It’s just really scary. I don’t know what you do about it. We don’t have the education system. God bless these people that are homeschooling. They are in many cases doing the Lord’s work. Now, listen to this. This is The View. This is the show of Maude Behar and Whoopi Goldberg and the audience is made up of the same kind of people. They may be fine people. They just don’t know what they haven’t been taught. They don’t know that what they have been taught is wrong, and they are arrogant in their ignorance at the same time. So here’s a discussion. Matthew Dowd, a former campaign strategize for the Bush family. He was in the George W. Bush administration. But when W left this guy’s gone far left. He’s now a radical leftist analyst on ABC News. And here he is. DOWD: In 2016 we had a split decision. Trump takes the Electoral College, geography, Hillary Clinton wins the popular vote. Last night was an even bigger example of that. So Democrats won the popular vote last night by eight million votes. Right? They lose — (applause) but they lose U.S. Senate races in red areas. BEHAR: Because of gerrymandering, a lot of it. DOWD: Well, that’s not gerrymandering. That’s the Constitution. 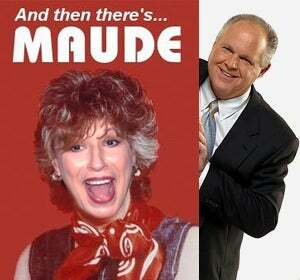 RUSH: So there she is, Maude Behar, “It’s gerrymandering,” said with such confidence, with such know-it-all arrogance. “It’s gerrymandering, a lot of it, ’cause of gerrymandering, a lot of it.” And Dowd, he knows what all this is. He’s citing here a bunch of meaningless stuff. If you wanted to go back in U.S. history, how many times has this happened? It’s probably a lot. But we never measure the popular vote in the Senate. It’s absurd. It’s never been done, until now, and it’s being used as a talking point. But even he says, “It’s not gerrymandering. It’s the Constitution.” Oh! So there’s something wrong with the Constitution too. See, folks, I’m just warning you. I am not making it up when I tell you these people someday are gonna suggest that elections are the problem and it’s gonna be using data like this. Well, what good are elections when eight million more people vote for Democrats and yet the Republicans still win? And then throughout the country with other ill-educated people they start, “Yeah, yeah, yeah, that’s right, that’s not fair! That’s not fair! 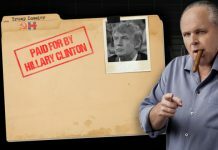 The Democrats got eight million more votes and the Republicans went — that’s not fair.” It’s over. When it isn’t fair, then you radicalize a bunch of people on the unfairness of America and how the minorities, the minorities are bossing the majority around here, and these rural hayseed Republican hicks are telling us who won and last. It’s gonna get very fascinating to watch, and it’s all coming because people have been lied to about America and its founding.